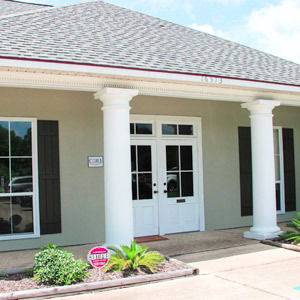 In practice since 2013, Dr. Joshua Blanchard opened Core Chiropractic Clinic to serve families in the Prairieville and Baton Rouge communities. Dr. Josh helps all ages regain their health, staying out of pain for a better future free from medications and surgery. Growing up in Napoleonville, Louisiana, he learned the importance of caring for your neighbor, southern hospitality and the desire to help those around you at a young age. He brings these values to his practice, offering a caring, professional place where people can get the support they need to feel their best. Core Chiropractic Clinic’s philosophy is based on the notion that the nervous system runs the body. If we optimize this core system, you can have optimal health. Dr. Josh helps you heal from within, so you can feel better than you ever thought possible. Your body is capable of powerful, even miraculous, healing. Misalignments in your spine can prevent the body from letting these incredible capabilities take over. Dr. Josh works to correct these misalignments so that you can live without limitations. One of Dr. Josh’s patients was a pregnant woman who came in with her baby in a breech position. Well-versed in the Webster Technique, Dr. Josh gave her an adjustment. Amazingly, the baby got into the correct position for delivery, right then and there! Another of Dr. Josh’s success stories is that of a baby who wasn’t crawling properly. Seeing their child drag his leg across the floor, the parents were worried about his development. Dr. Josh gave him a gentle adjustment appropriate for babies. Then, the baby was put back on the floor to see what he would do. He started crawling like crazy — in the perfect position, no leg dragging behind! Seeing the parents’ excitement over their son being able to crawl are the type of results that keep Dr. Josh passionate about helping the families in our area. Are you wondering what chiropractic might be able to do for you? Contact the practice today and book a free consultation!